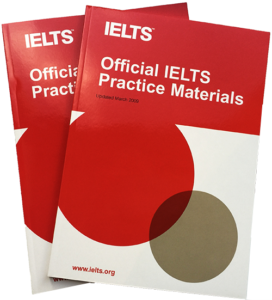 Purchase the Official IELTS Practice Materials in Winnipeg. There are 2 volumes available, one includes a CD with sample listening tests, and the other with a DVD showing candidates taking the speaking test. Both books, Volumes 1 and 2, are available and can be purchased at our school. For more information and cost, please see below. *email us at ielts@heartlandenglish.com to place your name in our back order list.